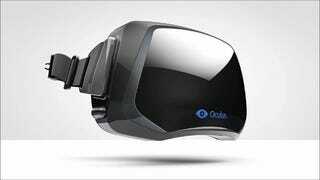 Sales of the new Oculus Rift DK2 model have been suspended in China following "extreme" reselling, an Oculus representative has explained on Reddit. Pre-orders in the region have been cancelled, too. "We need to make sure that we are doing what we can to make sure that resellers that are looking to flip our product for a profit are not taking stock away from legitimate developer purchases globally," reads the statement. "Our product, in its current form, is a developer kit, meant for developers that develop VR content. We are looking into alternative ways to make sure that our development kits are getting into legitimate developer hands in China." No figures were offered, but if the resale problem was big enough for Oculus to have to stop shipping its product to an entire gigantic country, we can safely assume that it's pretty bad. Taobao, the Chinese eBay, apparently has loads of Rifts up for sale at... well, enterprising prices.